Provide an easy way to keep your customers and partners informed when something bad is happening with your online services without having a flooded mailbox. Focus on resolving the issues instead. If the status of your servers can disclose sensitive information, you can set up a password to regulate access. For each status page you can decide on the level of details you want to spread in order not to disclose sensitive information. 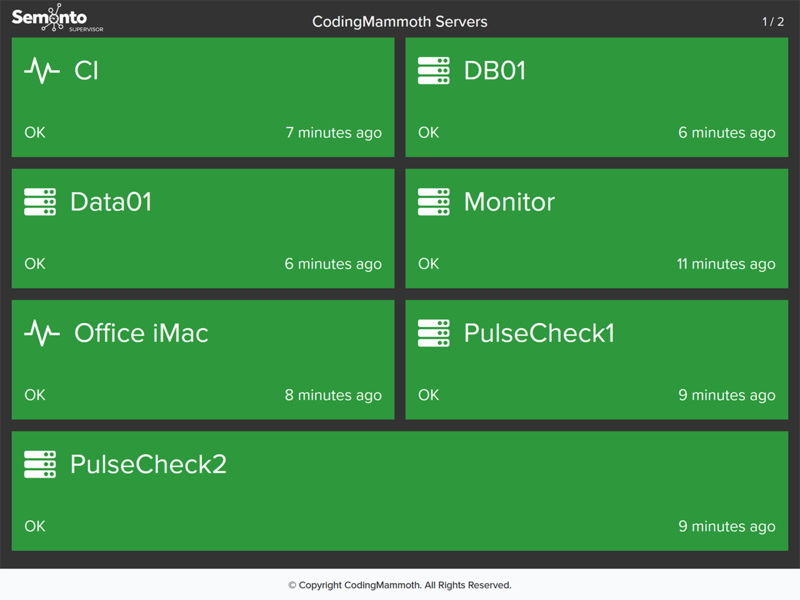 The display mode for status pages is designed for continuous monitoring in your IT-department. The status pages are automatically refreshed and show the latest known information. Semonto Supervisor is designed to be as easy to use as possible. 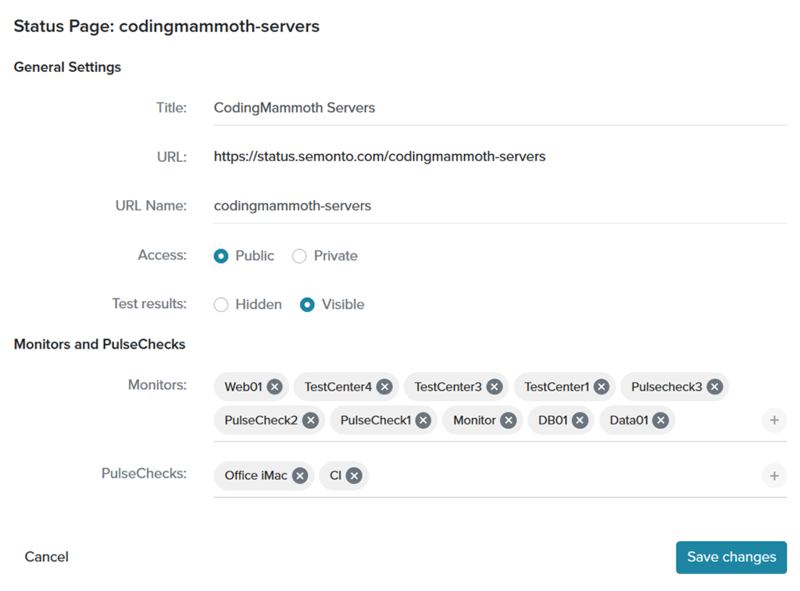 You can easily add monitors and PulseChecks to your status page, set up the URL for your status pages and apply the security settings. Semonto offers a wide range of features to support your online business. All off Semonto's features are available in every plan. Sign Up Free. No credit cards required. © Copyright CodingMammoth. All Rights Reserved.